A new American Society for Radiation Oncology (ASTRO) guideline calls for hypofractionated whole breast irradiation (HF-WBI) for patients with breast cancer regardless of age, tumor stage, and previous chemotherapy treatment. The update from a 2011 guideline also recommends that patients be encouraged to play a larger role in the choice of HF-WBI, observing that HF-WBI has not been widely adopted despite delivering results that are comparable to and more convenient than longer courses of radiotherapy. Whereas the previous guideline restricted HF-WBI to women aged ≥50 years with T1-2 N0 disease, the new guideline recommends offering HF-WBI to patients regardless of tumor grade, hormone receptor (HR) status, and HER2 status. Previously, women who had received chemotherapy were not candidates for WBI. 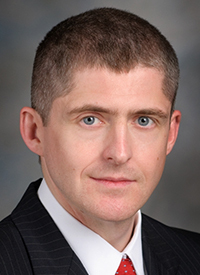 “The evidence base has matured since our last guideline, so this new guideline is more expansive in the types of patient for whom it endorses the use of hypofractionated whole breast radiation,” Benjamin Smith, MD, co-chair of the guideline task force and an associate professor of radiation oncology at The University of Texas MD Anderson Cancer Center in Houston, told OncologyLive®. “Rather than just saying that the evidence base is more or less equivalent, which is what we said in the last guideline for certain patients, now we’re saying these shorter courses of whole breast radiation are preferred compared to the more standard or conventional longer courses of radiation,” he added. Smith said that this new guideline is broader, more comprehensive, and, he hopes, more helpful to clinicians. Previously, the guideline recommended accelerated treatment for only certain patients, including older patients and those with less advanced disease. Recent long-term results from several large trials have added to the body of evidence that HF-WBI can yield outcomes that are similar to those of conventional fractionation (CF) WBI, and the task force now strongly supports the use of WBI for a broader patient population. Physicians can also offer HF-WBI as an alternative to CF-WBI for women with ductal carcinoma in situ (DCIS). Women with breast augmentation or collagen vascular disease can chose either treatment in consultation with their physicians. HF-WBI is administered over 3 to 4 weeks rather than the 5 to 7 weeks required for conventional radiation treatment. The new guidelines strongly recommend a dose of 40 Gy of HF-WBI administered in 15 fractions or 42.5 Gy in 16 fractions for women with invasive breast cancer with or without inclusion of the low axilla. The new guidelines also say the volume of breast tissue receiving >105% of WBI should be minimized regardless of dose fractionation. The previous guidelines established dose homogeneity at ± 7% in the central axis. To update these recommendations, a 15-member ASTRO work group reviewed study results published from January 2009 to May 2016. Overall, the work group screened 528 abstracts and reviewed data from 100 articles. The authors stressed that treatment should be individualized and take factors such as tumor characteristics, patient anatomy, and comorbidities into account. That said, Smith hopes that this new guideline will spur further adoption of these shorter courses of radiation that require fewer trips for therapy. Although ASTRO favors a short course of radiation for most patients, Smith said there are times when a conventional course might be appropriate. The evidence supporting HF-WBI is weaker in some patient groups, such as women with DCIS who weren’t typically included in clinical trials comparing conventional radiation with HF-WBI.